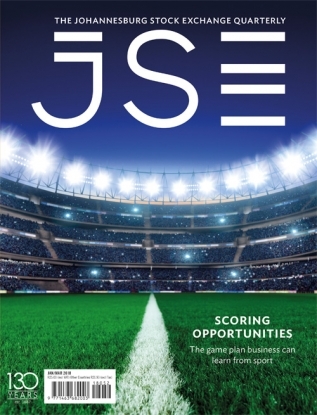 JSE is the official business and lifestyle quarterly of the JSE Limited. 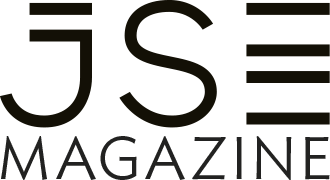 The magazine offers a glimpse into the workings of the exchange and a unique insight into the world of investing. 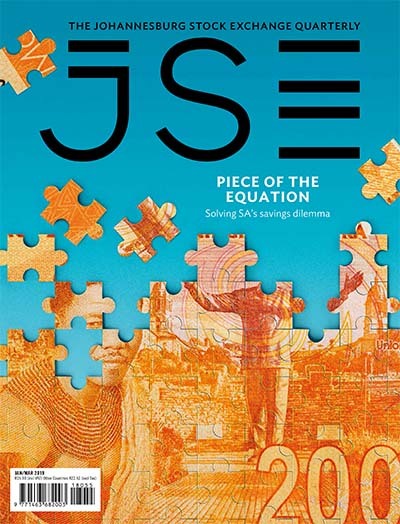 JSE is bold, authoritative, intelligent and sophisticated. 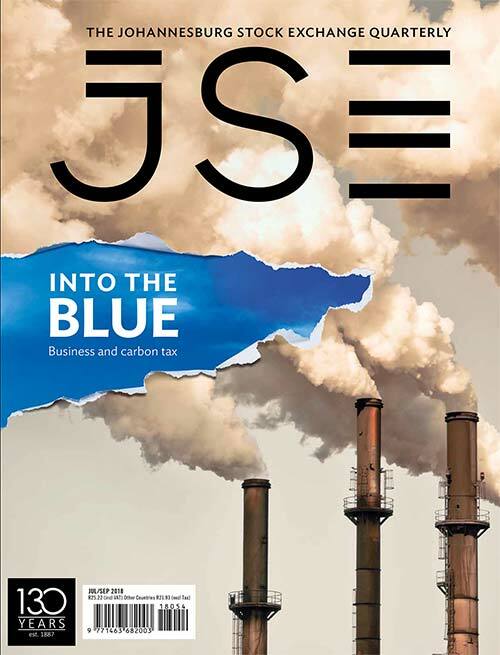 Our editorial is topical and focuses on developments in finance, business and executive lifestyle. We will introduce you to our dynamic entrepreneurs, their companies and their business acumen. We seek to portray the best that SA has to offer in terms of corporate innovators and the technologies businesses are using. 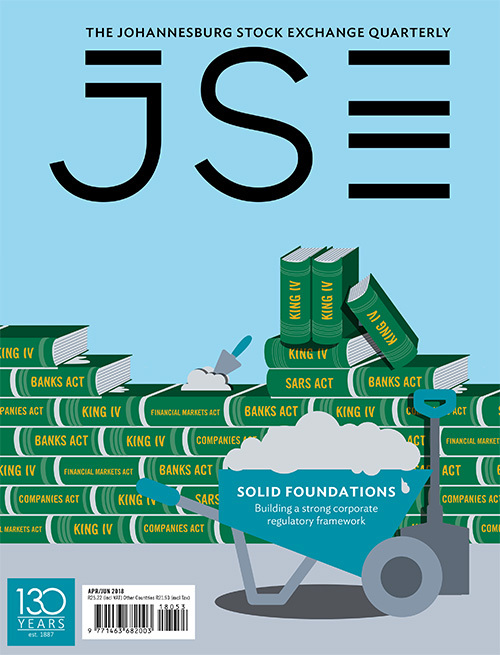 JSE is distributed on a name and address basis to an annually audited database comprising stock brokers, fund managers, registered chartered accountants and financial advisers as well as to CEOs, CFOs, MDs and presidents of listed companies. We also go to the leaders of the top-performing unlisted companies in SA with the view to attract further listings on both the Main Board and AltX. Selected CNA and Exclusive Books stores nationwide. 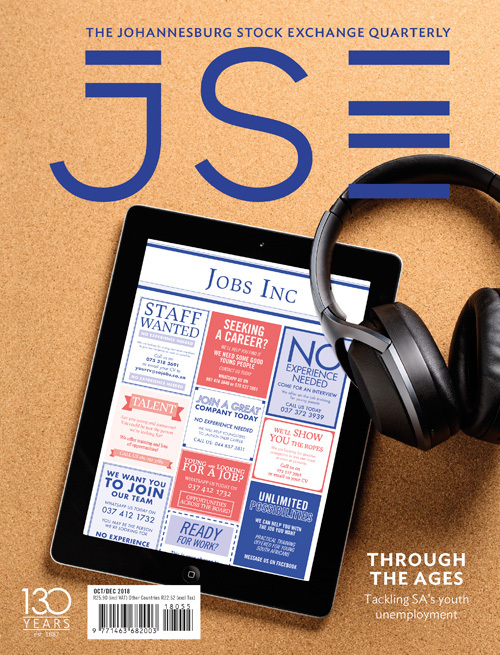 If you’d like to subscribe to JSE, please email subscriptions@hsm.co.za for more information.